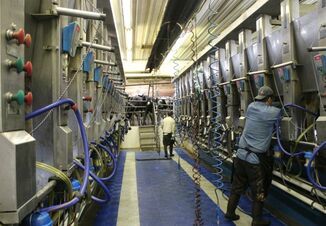 Growing milk production worldwide and increased competition for export sales all point to a bleak six-month forecast for milk prices. Key to this price outlook are changing trade dynamics, particularly with Canada’s aggressive approach to dairy protein exports with its Class 7 program. Third quarter 2017 U.S. exports of skim milk powder were down nearly 26,000 metric tons, or about 16%. Whole milk powder exports were off 10%, and whey protein concentrate and isolate exports were down 5%. The only positive export in the protein category was dry whey, up 5%. Nevertheless, U.S. dry whey inventories are now up more than double of what they were a year ago, with whey prices now at 30¢ per pound, down from 50¢ in May. That’s coincidentally when Canada started its Class 7 program. 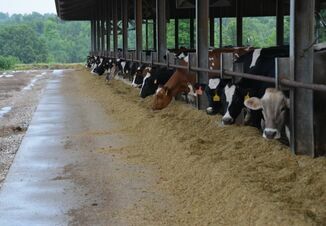 This drop of 40% in whey prices has lowered the U.S. Class III price by $1 per cwt, says Bob Cropp, a dairy economist with the University of Wisconsin. Mexico, for example, is now sourcing more of its milk powder ingredients from the European Union (EU) and Canada. In the past, Mexico imported as much as 90% of its milk powder from the U.S. But with the EU sitting on mountains of powder in inventory, it has aggressively priced sales to Mexico. Canada is also up 10-fold in its dairy ingredient sales to Mexico with the creation of its Class 7 program, which subsidizes exports. The result is Mexico is now taking just 70% of its milk powder from the U.S., Cropp says. In October alone, U.S. milk powder sales to Mexico were down nearly 20,000 metric tons, or 44%. But Mexico is not the only problem where milk powder sales are soft, reports the U.S. Dairy Export Council (USDEC). Shipments to the Philippines were also down 45% in October, and shipments to other countries in southeast Asia were down by a third. The only bright spot was China, with powder sales there doubling in 2017 over year-earlier levels. All these softer sales are despite lower prices. Skim milk powder prices are down some 30% from last summer. “The global oversupply of skim milk powder has pushed prices near their lowest level in 14 years,” says Alan Levitt, USDEC vice president of communications and market analysis. 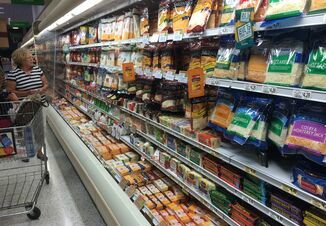 The good news is U.S. prices for powder and cheese are still competitive on world markets. And some of the export losses were offset by sharp jumps in cheese and butter exports in the third quarter of 2017. Both cheddar and American-type cheese were up 84%, and butter was up 50%. Still, these strong increases were not enough to offset the decline in dairy protein sales. In the third quarter, the percent of milk solids exported by the U.S. was down to 14.2%. Last year, that percentage stood at 15.1%. But Castaneda believes the solution to the Canada Class 7 program lies in the North American Free Trade Agreement (NAFTA). Milk protein concentrates (MPCs) and isolates were not part of the original NAFTA agreement because they had not yet been invented when that agreement was signed. That is also the reason U.S. dairy processors were able to export MPCs to Canada without violating NAFTA. Nevertheless, Castaneda hopes the Class 7 controversy will be solved through the current NAFTA negotiations. Taking the issue to the World Trade Organization would be too expensive and would take years to resolve, he says.